I few days ago I treated myself to a new set of 24 watercolors and found myself happily getting lost for hours in water and color on paper. I literally could not stop “flowing” with the paint. 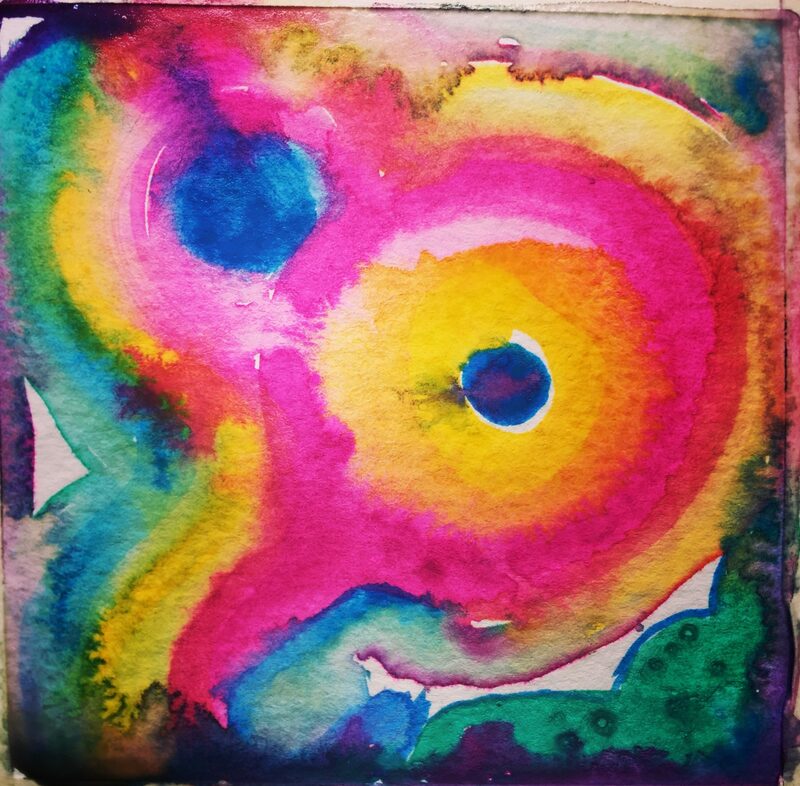 What is so magical about watercolors, I ask myself? I especially enjoy the wet-in-wet technique (wet watercolors on wet paper). It allows me, or rather “demands” of me to let go of the need to control the outcome. I love watching the colors and shapes emerge as the wet brush touches the wet paper. It suits my intuitive approach to not wanting to paint a particular subject matter, but to let the image evolve on its own in the process. I have no control over the colors running and blending into each other. It can be scary or frustrating at first that the colors keep running into each other, forming irregular shapes and lines, everything merging and flowing. However, it can also be immensely liberating and exciting. As I let go and start experimenting, I am blessed with surprisingly new color combinations and visual effects that bring me a lot of joy. As I let go of the need to have the painting look a certain way and the brush strokes creating restricted lines and shapes, I start to relax and eventually find myself flowing with the abundance of life itself. 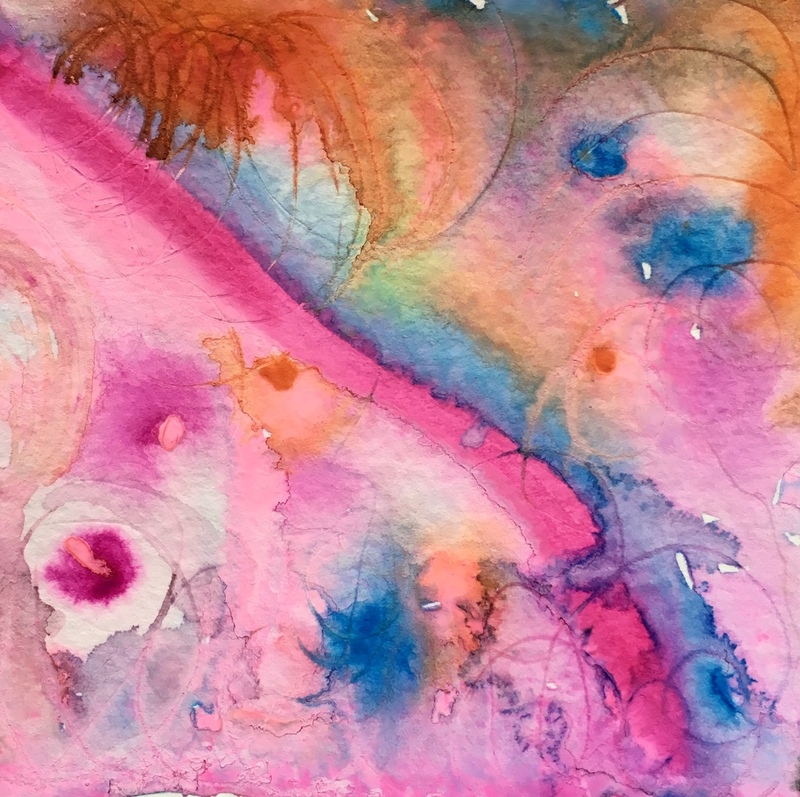 The brush dances over the paper and lets the colors and water do their own little magic. And this is BIG magic every time. 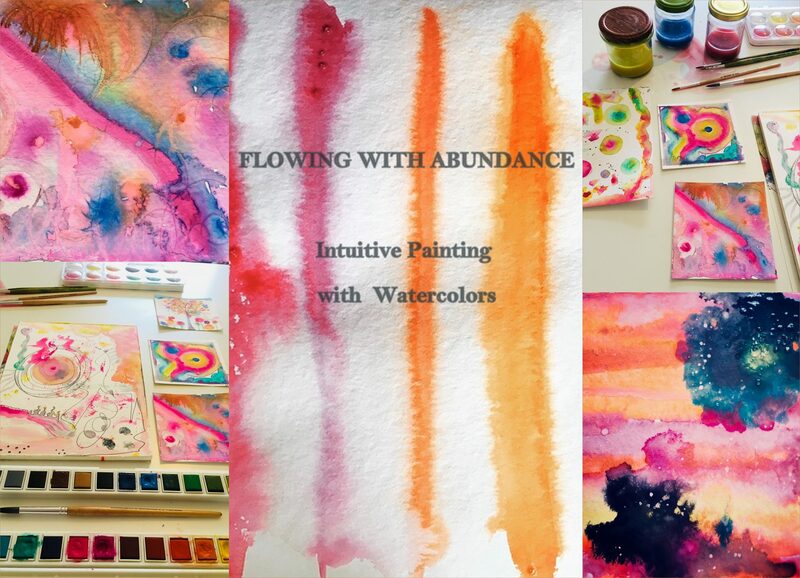 I encourage you to try this for yourself and experience the sensation of color and letting go for yourself! "Your workshop made me really happy and I would love to come back! I really enjoyed meeting nice people and playing with colors - just letting go and having fun." "What I gained most from Heather's collage workshop was being able to express myself freely through a tangible medium. She really knows how to share her passion and how to enjoy it. I would recommend her workshops to anyone wanting to explore themselves more in depth." You would love to express yourself creatively and need a free resource for inspiration? Yes, send me my gift now!